Albert A. Kemp is a native Houstonian. He received his High School Diploma from Ross Sterling. Rev. 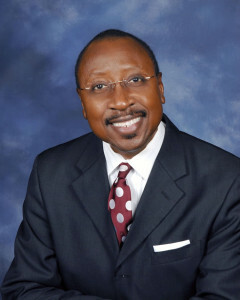 Albert Kemp was trained in a family where his father was a pastor of churches in Richmond, Rosenberg and Houston, Texas. Both grandfathers on his mother and father's side were preachers among other preachers and pastors in his family. He began his ministry of publicly proclaiming the gospel in 1977 under the late Rev. Dr. M.L. Price at Greater Zion Baptist Church, Houston. Attending Lon Morris College in Jacksonville, Texas, he received his Associate of Arts Degree. He earned his Bachelor of Arts from Scarritt College of Christian Workers in Nashville, Tennessee majoring in Christian Education. The Master of Divinity was earned from Southwestern Baptist Theological Seminary, Fort Worth, Texas. Rev. Kemp has attended Seminars and Conferences throughout the United States. He has been the pastor of several churches in Texas. Rev. Kemp is also an educator certified by the Texas State Board of Education in the areas of Special Education, Driver Education and English as a Second Language. He has worked for several Independent School Districts in the Greater Houston area. Rev. Kemp is licensed as a Realtor and Insurance agent in the State of Texas. Rev. Kemp is married to Cynthia M. Kemp, a Counselor certified by the Texas State Board of Education. Together they have three children: Elise, Christopher, and Amaris.